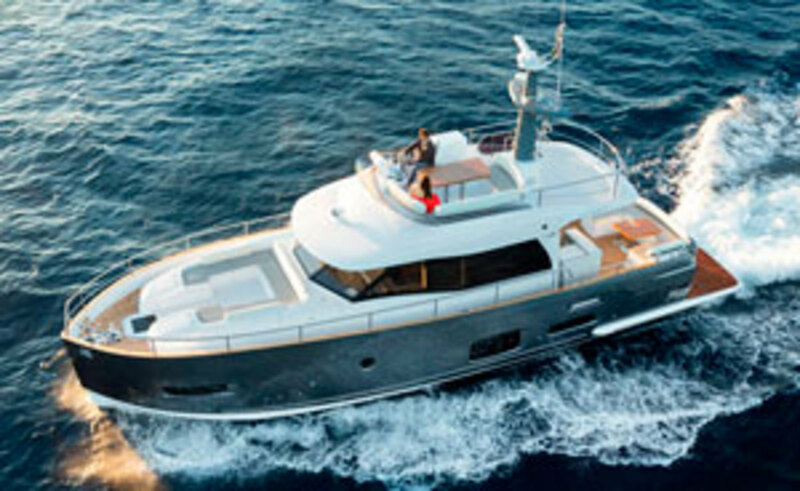 Azimut Magellano uses hulls designed for efficiency and speed. 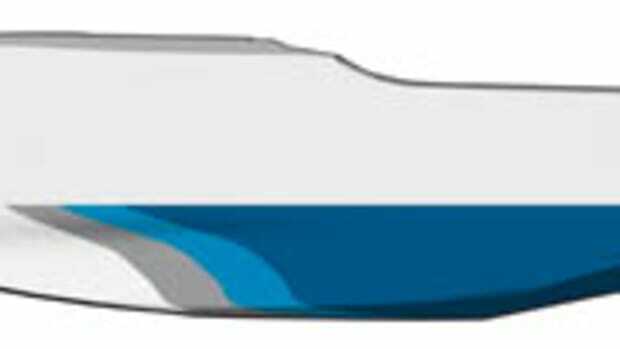 Senior Editor Kevin Koenig set out to see if building an environmentally friendly powerboat was possible. What he found may surprise you. Full disclosure: When I found out I was writing an article essentially trying to answer the question: “Is it possible to build a green power boat?” I asked what the word count was, and then contemplated writing “No. No. No,” eight hundred times in a row. Not to sound like the oldest 32-year-old in the world, but to me a truly green boat has always seemed like a bit of a pipe dream, or maybe just a sailboat. But then I did some digging. 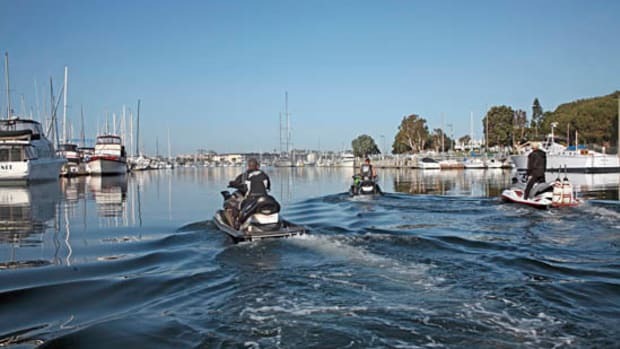 As it turns out—and as you might expect—there are plenty of highly varied opinions in the marine world about just how green a boat can be. 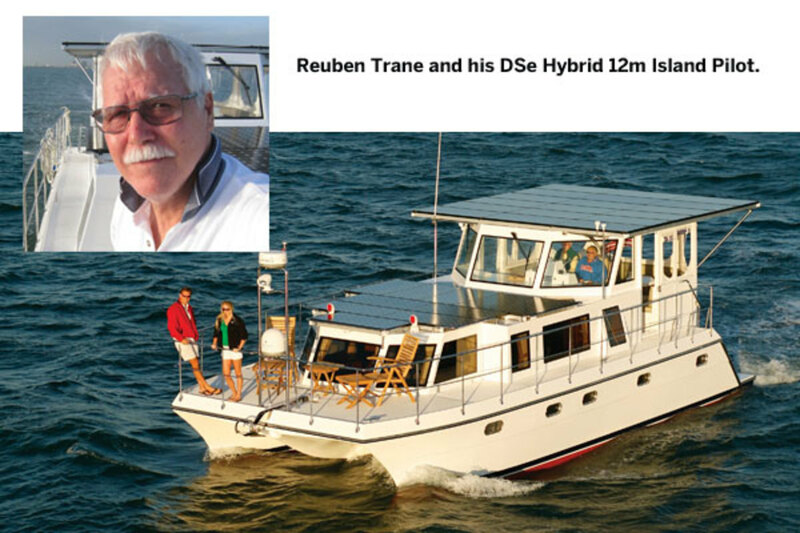 One man who agrees with the good Dr. Goulpié, at least in part, is Reuben Trane, managing director of Island Pilot, the Florida-based builder of small to midrange cruisers. 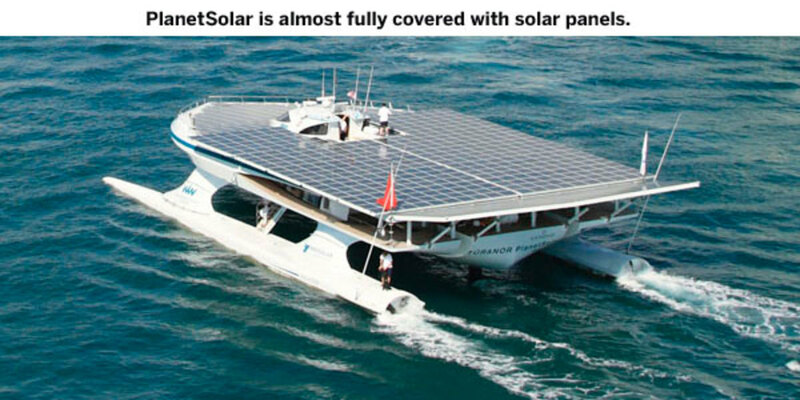 Trane built a hybrid solar-and-diesel-powered catamaran in 2008 that he named DSe Hybrid 12m. 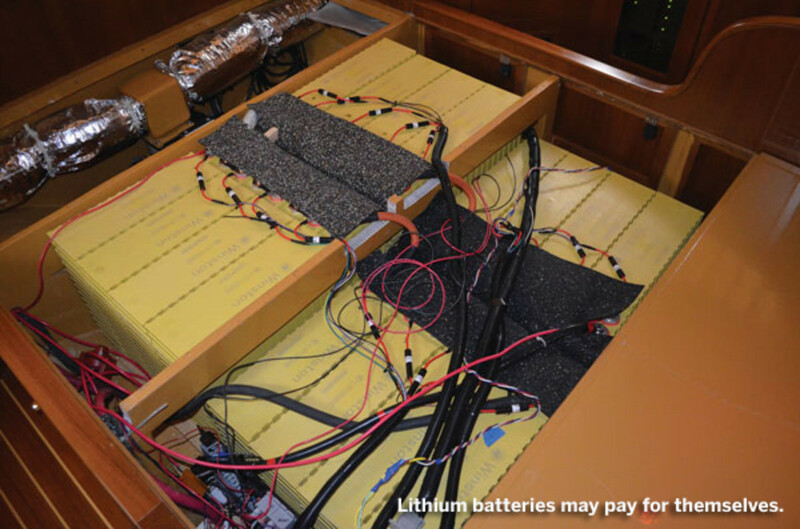 Trane believes that the boat, which remains unsold, is perfect for baby-boomer retirees who want to save on fuel by using electricity to propel them from island to island on short cruises. The key to his design, he says, is the battery. Trane also recommends that you get as big a battery as space and budget will allow. “That way,” he says, “the solar panels can charge the battery, and depending on the size, you can find a nice cove in the Bahamas somewhere, drop the hook, and go for a week without sun.” Not ideal to spend a week in the Bahamas with no sun I suppose, but an interesting and environmentally friendly prospect nonetheless. 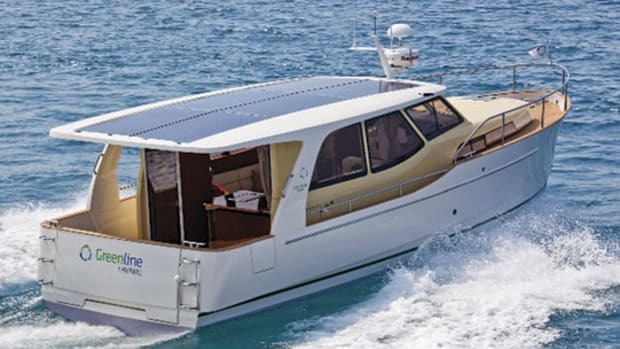 At the less extreme ends of the green-boating movement are some other ways to reduce your boat’s carbon footprint. Everybody I spoke to agreed that resin-infusion technology is a move towards cleaner boating, as it significantly reduces construction emissions over hand-laying techniques, and also generally produces a lighter hull. 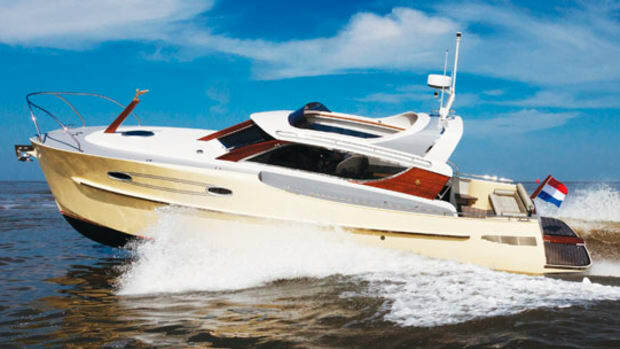 And a light hull is key for that old standby foremost in pretty much every boater’s mind: fuel efficiency. The equation there is pretty obvious: Use less carbon-based fuel, leave a smaller carbon footprint. 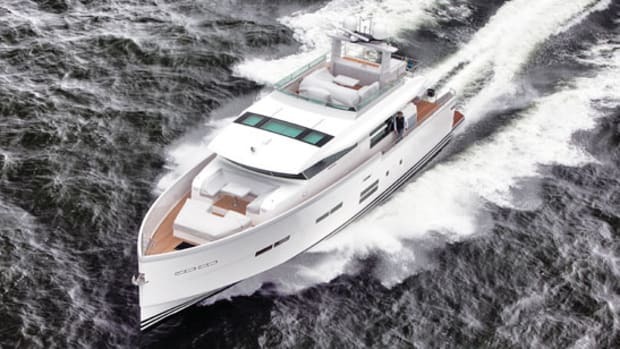 One company that has been focusing its efforts on building greener hulls is Azimut, with its long-range cruising brand, Magellano. 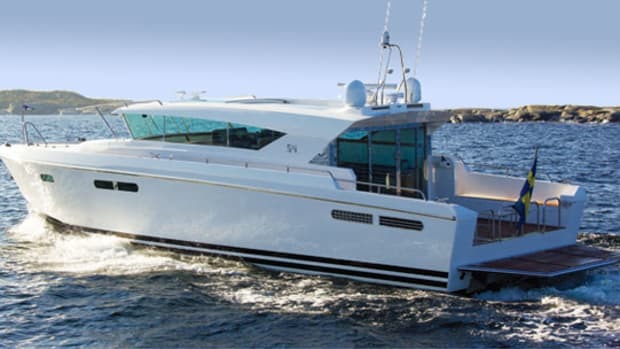 On the Azimut Magellano 53, for example, the dual-mode hull can cruise in displacement mode at around 10 knots using 20 to 30 percent less fuel than if she was a planing boat. 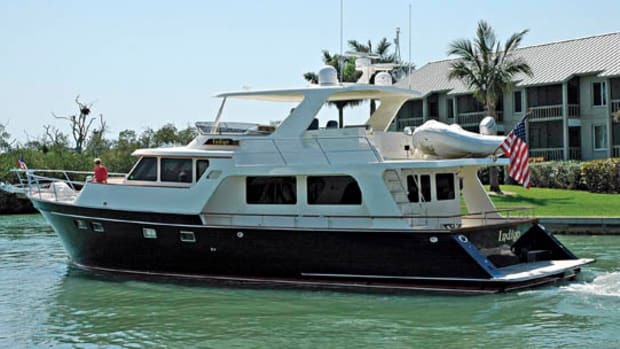 However, because of underwater trickery dreamed up by hull designer Bill Dixon, the boat is also capable of semi-displacement speeds approaching 20 knots, a key feature that lets owners have the option of going fast, while also being able to do the majority of their cruising a lot more cleanly. Greenline is also doing interesting things in this area. 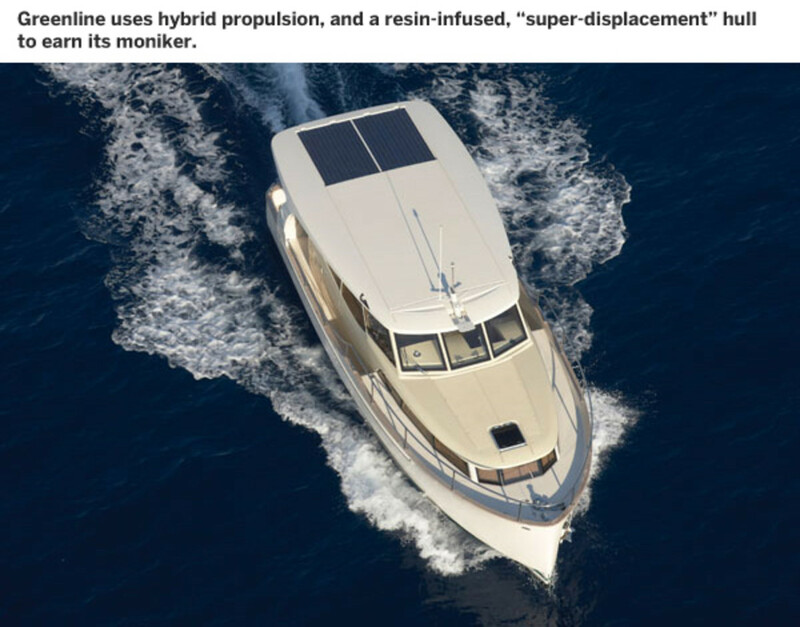 That company’s boats, which range between 33 and 70 feet, use hybdrid electrical/diesel propulsion, are resin infused, and also have “super-displacement” hulls, which are rounded and deep enough that the shafts are at an angle less than one degree, making them extremely efficient. 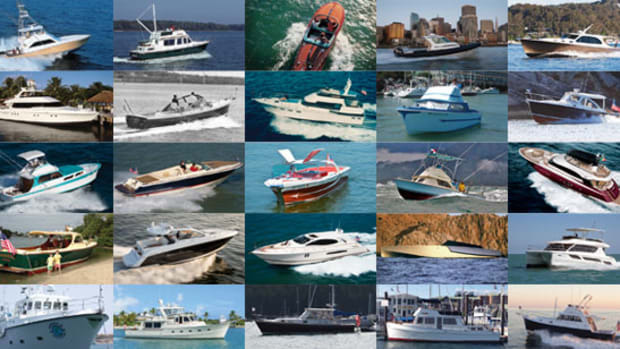 Of course, not everybody is as keen on green powerboating as Azimut Magellano, Greenline, Island Pilot, and PlanetSolar. 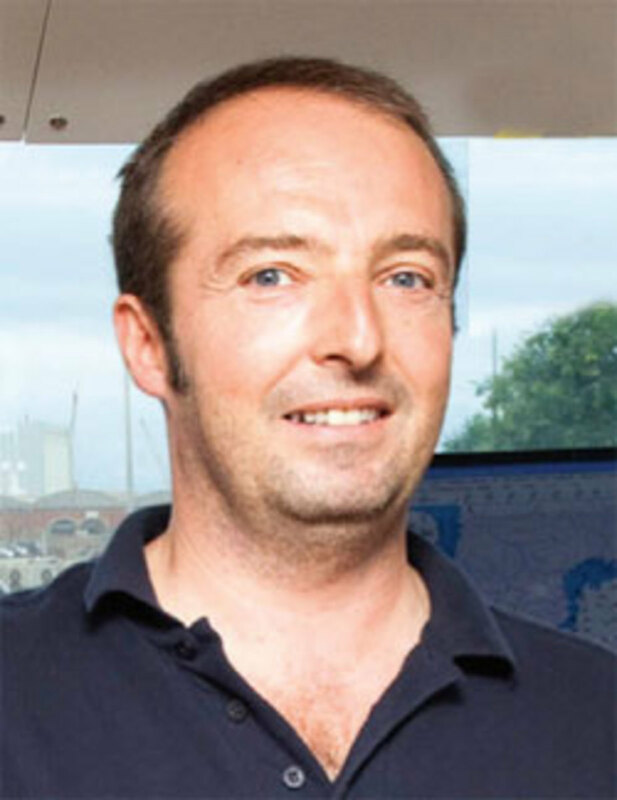 David Gerr is the director of the Westlawn Institute of Marine Technology, a school for yacht designers, and when speaking to him, you get the distinct impression that, at the moment, he thinks the green-boating movement is a load of donkey crap. After all these interviews and research, can I say for sure that Gerr or Goulpié, or anybody in between, has the definitive right answer to my question? No, I cannot. 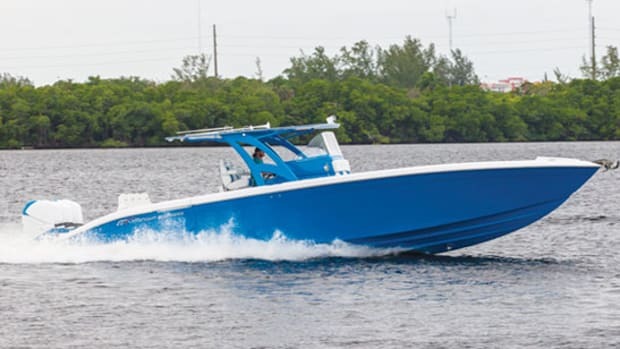 What I can say is that it certainly seems possible—not to mention worthwhile—to make power boats greener, and for now, that’s a step in the right direction.